← What to do when life gives you lemons! These were are big hit at the Thermomix branch meeting on Monday night. I had to present a recipe and a short talk in front of a room full of Thermomix consultants and this is the recipe I choose. The best part is they are gluten & diary free! Oh and delicious! Place all ingredients into bowl expect for icing sugar. Mix for 30sec Knead. Scrap down and Knead for 10 – 15secs. Hi Fran I got my Thermo seal! It was posted from the property agent for the old house (which we are renting out). 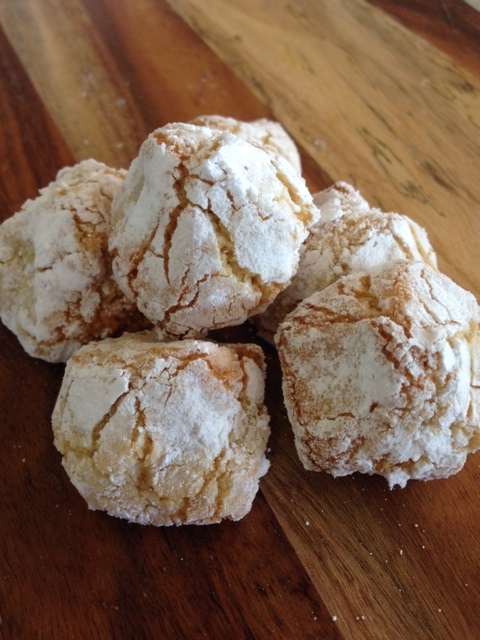 Would love your Christmas truffle recipe too if that’s ok – they were delicious!